Up until now, British roads have been uncomfortable to ride on, not anymore. Introducing the Specialized Roubaix range designed to battle with the toughest of surfaces whilst providing supreme comfort and stiffness at an optimal weight. This bikes comfort orientation makes it great for testing British roads in harsh winter conditions thanks to its Hydraulic disc brakes. 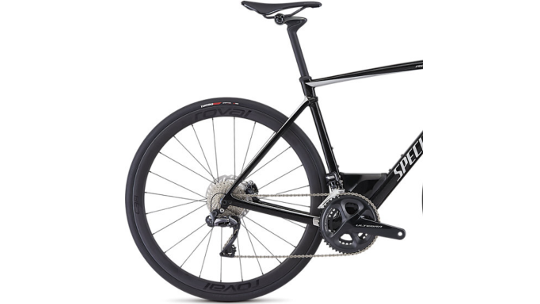 Built with revolutionary future shock suspension found on the head tube, providing 20mm of travel, this design not only improves comfort but overall smoothness and speed thanks to a Specialized's partnership with McLaren Applied Technologies. This version from the Roubaix range has been finished with Ultegra Di2 that showcases the latest in electronic shifting and featuring smooth hydraulic braking technology. As well as this, the grade of carbon on the Expert has been upgraded to offer improved stiffness levels whilst reducing the Roubaix's overall weight. 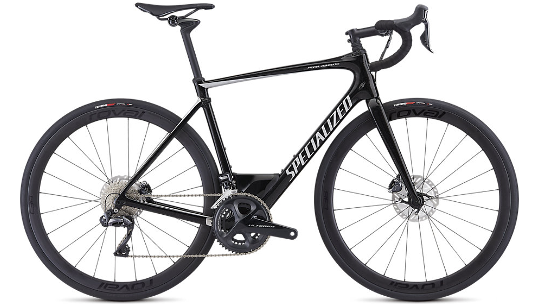 Finally, Specialized C38 carbon wheelset provides a brilliant carbon option that suits any style of racing and training.